We are all looking for ways to take our fitness and bodies to the next level. 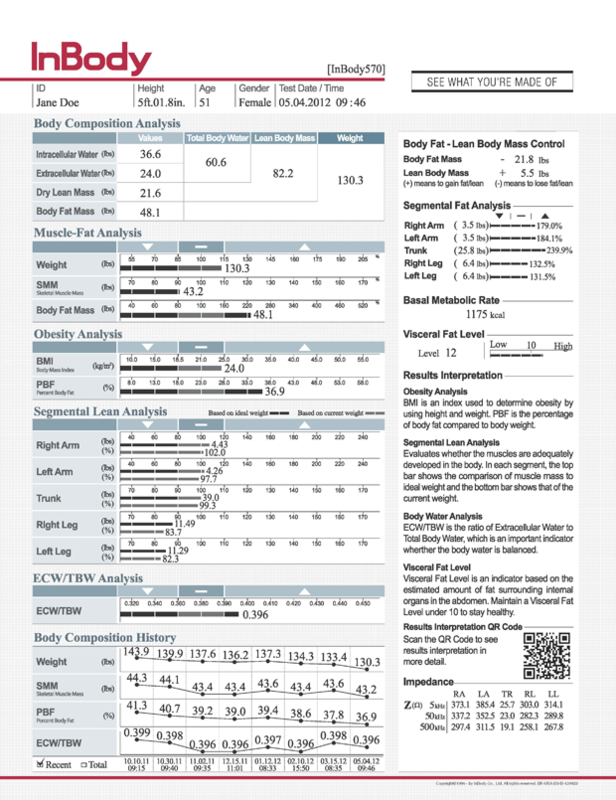 The BP Fitness Centers is very excited to offer InBody body composition analysis. Accurately find out your levels of body fat, muscle mass, visceral fat, basal metabolic rate—all broken down in a detailed report for you! Find out exactly what you are made of—and find out what you need to do about it! Members can get an InBody assessment in the BF Fitness Centers--just check with a staff member about setting up a time. We are not currently performing assessments between 12:00 PM and 1:00 PM. The scan only takes 1 minute—only need to take off shoes and socks. The InBody assessment is also part of all new member assessments! 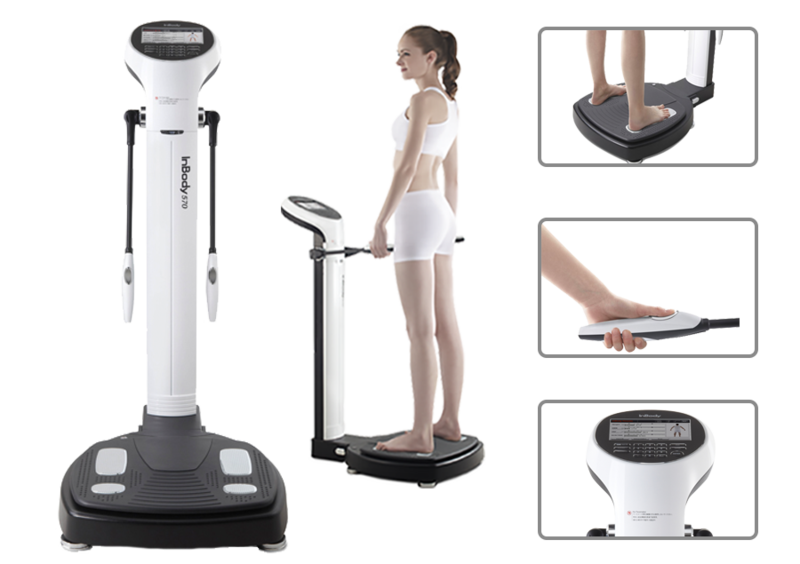 Have a look at this great video about interpretting the results of the InBody test and see all the great things you can learn about your helath and fitness! Check out a closer look at the result sheet and what you can find out in your scan!